Xiaomi has come under fire ever since a video purportedly of a Redmi Note 4 unit exploding went viral. The company has now hit back at these claims by asserting that the footage is fake. 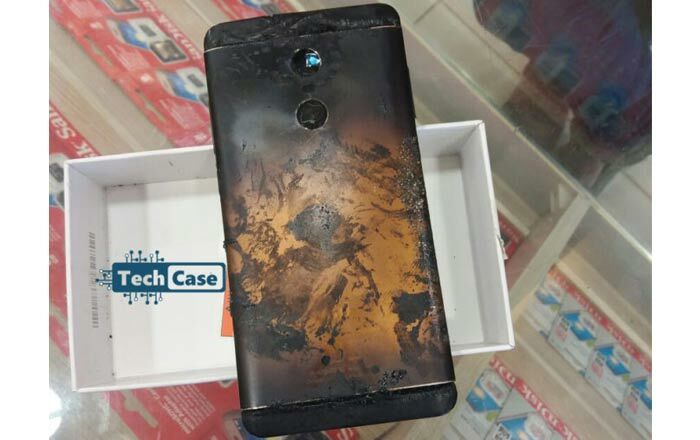 To recap, TechCase recently reported that a Redmi Note 4 unit owned by a Bengaluru man named Arjun went up in flames. A website called The Explode began circulating an alleged CCTV video of the incident which showed a phone spontaneously blasting open. Xiaomi has now dismissed the latter, stating that the device in the video was not the Redmi Note 4 and was obtained from a random WhatsApp group. However, there is indeed a man named Arjun whose Redmi Note 4 exploded. It seems the two incidents got mixed up. As per Xiaomi, Arjun bought the Redmi Note 4 from a Poorvika outlet on June 1. It supposedly got damaged on July 17 after which he took it to the same store. The brand says it got the device back as soon as it was alerted to the case. Its investigation found that the problem came about because of a faulty third-party charger. There were apparently signs of physical damage on the Redmi Note 4 too. Xiaomi states that it proceeded to replace the unit with a new one on July 24. The customer himself apparently told the company that the people in the aforementioned video don’t include him or any of his family and friends. Xiaomi is now condemning the original source of the footage, terming its conduct irresponsible and disturbing. It’s now considering legal action against the publication. The site is claiming innocence as of now, telling Gadgets 360 that Arjun was the one who provided the video to the site and he’s now backing off from his own assertions.